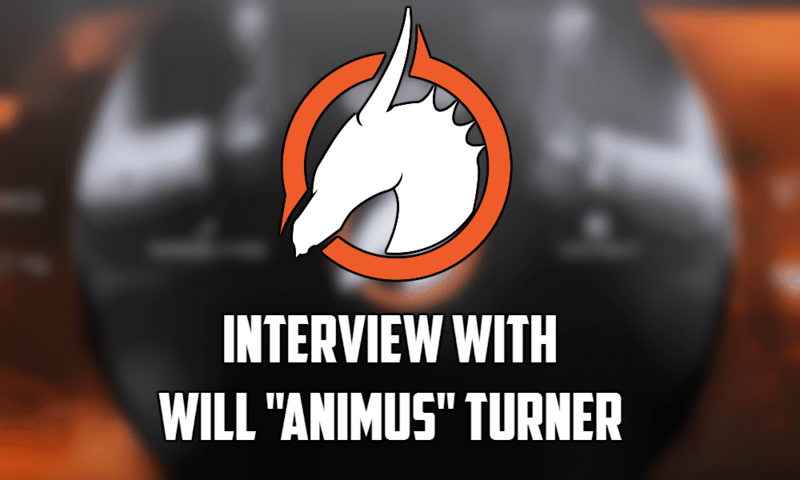 Today I had the privilege of talking to Will “animus” Turner. The Australian player currently plays for the AU team Team Skyfire who recently played in the ESEA Open Oceania 22; losing in the quarter-final to Chiefs ESC. 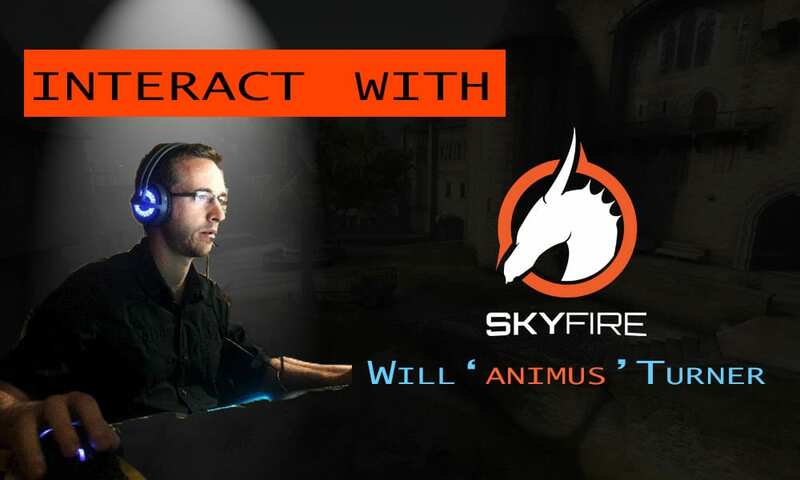 Animus currently holds a 1.00 rating on HLTV (at the time of writing). I spoke to him today to talk about the Australian Counter Strike scene, as well as some big changes which have taken place in the world of CS:GO, and a bit about himself too. First of all, let’s talk about Australian CS as a whole. With more and more competitions like the ESEA Open Oceania (a competition you took part in yourself), more and more teams are getting exposure, teams which a casual fan has probably never heard of. How do you think this helps the AU scene? Thanks for having me, Mae! I have been a part of the CS scene in Australia for a veeery long time and this is the most exciting time for any player right now. Exposure is the #1 thing that Australia needs and we have has always lacked this crucial element to becoming competitive on a world-scale. Bringing these types of competitions to Australia benefits everybody and our scene is just going to continue to grow everyday. From a viewer’s point of view, obviously as more competition comes in it gets more exciting, but from a player’s point of view, how do you feel about new teams coming in and adding more competition? Personally, I love seeing young players and new teams climbing the ranks and doing big things (against other teams). The more teams competing raises the level of gameplay here and consequently our top teams have to be even better to represent Australia overseas. The huge number of amateur teams that are working tirelessly to improve may not realise that their efforts flow into the higher divisions and it’s becoming harder to stay at the top level without working hard. Obviously Renegades is the big Australian team, and they are taking part in the ESL Pro League Season 4: North American division. Do you agree with there being only one spot in the pro league for an Australian team or do you think there should be an entire league for just Oceania? Honestly, I’m a big believer that Australia will get the spots when we deserve them. I am positive that we have teams that could compete in the ESL Pro League right now but we’re going to have to prove that seriously before we can expect more invites. When our teams are going overseas and winning matches against top European teams and the best NA teams I have no doubt the invites and sponsors will come to us. Do you think the Oceania scene needs to be built up a bit more before they can have an entire Pro League? Our scene has the players and teams for the league, and we have about 5 actually serious organisations that can bring the professionalism for that type of league. You could say that we need more professional orgs before we have a league like that, but then we would miss the opportunities for leagues like this to actually bring those organisations to Australia. There are so many strong teams in Australia that could go so far with proper backing and any smart overseas organisation would recognise that and see the bargain they could get here. Obviously Australia is a long way away from Europe and America, and travel probably costs quite a bit, do you think this is a factor as to why AU teams aren’t seen very often at big tournaments? Our distance from Europe and the US has always been our biggest obstacle. Top teams in those regions can compete against teams from other countries online and hence they have more opportunity to improve. Add that to the cost of travel for major tournaments and our small population and it’s a wonder we even have top level teams. But our passion for CS here is strong, travel is getting cheaper every year, and more sponsors are making travel more and more possible. Our top teams are traveling 4+ times a year now which is mind blowing for me. I can’t wait to see what the future holds for us. At that level, everyone has aim. You can’t expect to ‘make it’ by being the sharpest guy anymore. Now onto Counter Strike as a whole, do you think that CS would benefit with one major tournament per year like The International, or do you think it is better off with the 3 tournaments per year structure we have now? The number of tournaments isn’t the topic – it’s how the prize money is generated. The International’s system for funding is such a smart and effective method and has made DotA explode in magnitude over the last few years. I don’t see a valid reason why Valve couldn’t do the same with CS. How do you feel about the Fnatic and GODSENT recent changes? Man, huge changes. It’s rough seeing olof split from his teammates and it was worse to hear JW say that the pressures were too much for their friendship. Having said that, I think pronax is one of the smartest CS players to have lived, his ability to read the game mid-round is unrivalled and escalated a team with the huge fragging power to an unstoppable level. I can’t see any reason why this GODSENT team wouldn’t be able to perform at that old level, except for confidence. They had a really rough time without olof in the past due to his injury and I hope that they bring a good attitude to GODSENT. What can you say to help players trying to break through into the professional CS:GO scene? I have been playing different iterations of counter-strike since 2002. I’d like to say I was at the top level for all that time but I was always at that top-of-div2 level and could never crack into the pro scene, until recently. The aim will get you the trial, those 3 things will get you the job. Finally, you tweeted out earlier about you being featured on HLTV. How does it feel to be on the HLTV site with some of the greats? Oh man, I feel honoured. I shared it with my family. I remember being 9 and showing my parents f0rest as HLTV Player of the Week and explaining what his DPR rating meant. When I told them about it, they were stoked for me, which was truly rewarding. We’ve all felt unsupported by our family at times for the effort and hours we put into this game, and that family recognition meant more to me than winning a big tournament. Thanks for your time Will. Any last things you want to say? Any shoutouts? I want to thank my current teammates, Kaotik krudeN and especially steve-, who were the ones who gave me the opportunity to play at the pro level. Thank you to SKYFIRE, Turtle Beach, and Sector Six for their support and to my fans who keep my spirits high after some really tough games – shoutout to wolFy, brakker, Mr Pink, and of course our #1 fan TixiSKF. One of my philosophies has always been to share as much knowledge as I have. It pushes me to learn new things and educate those around me. If you ever want to learn more about CS or just have a chat feel free to hit me up.